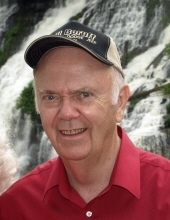 Harvey Rogers Taylor, 88, of Fayetteville passed away March 27, 2019. He was born May 23, 1930 in Pittsburg, Pennsylvania to the late Thomas and Eva Taylor. Harvey was a Veteran and worked for Delta Airlines as a pilot. Harvey was preceded in death by his daughter and son-in-law, Terry and David Heard, and his parents. He is survived by his wife of over 66 years, Gerry Costelle Taylor; sons, Tom (Louise) Taylor of Memphis, TN and Dennis (Francie) Taylor of Hampton, GA; daughters, Judy (Doyle) Davis of Fayetteville, Mary (Earl) Jackson of Fayetteville, Nancy (John) Zeppa of McDonough, GA, Shirley (John) Reynolds of Hot Sulphur Springs, CO, Linda (Al) Patterson of Conyers, GA, and Jan (Tim) Rice of Griffin, GA; twenty-five grandchildren; and twenty-one great-grandchildren. A funeral service will be held Sunday, March 31, 2019 at 2:00 PM in the Chapel of Mowell Funeral Home, Fayetteville. Burial will follow at Camp Memorial Park, Fayetteville. The family will receive friends beginning at 1:00 PM prior to the service at the funeral home. To send flowers or a remembrance gift to the family of Harvey Rogers Taylor, please visit our Tribute Store. "Email Address" would like to share the life celebration of Harvey Rogers Taylor. Click on the "link" to go to share a favorite memory or leave a condolence message for the family.